Hello, my creative friends! Welcome back to the Stamp and Scrapbook Expo blog for another dose of creative planning fun! I am here to share some wonderful Christmas projects. I am so ready to begin some holiday crafting and I hope you are, too. It is beginning to get really cold here in Utah, and there is nothing better than a warm drink on a cold day, staying inside where it is warm, and spending time in the craft room. So sit back and let’s begin! Who says Christmas layouts have to be in traditional colors? I enjoy using non-traditional colors on Christmas pages and love that Bea created this beautiful masterpiece using soft colors, giving it a different twist. 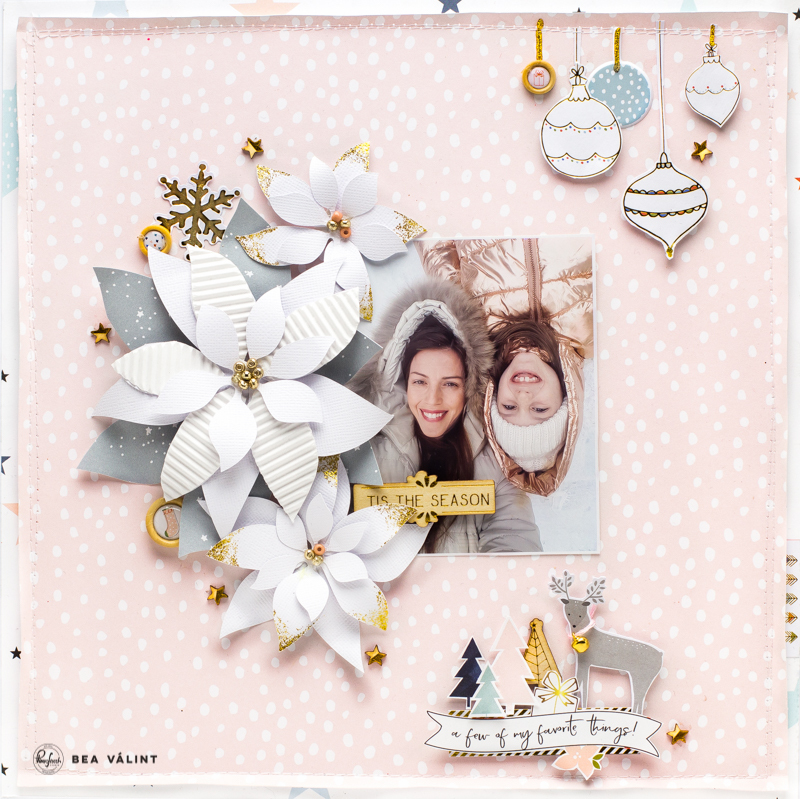 This beautiful collection “December Days” can be used with so many different winter photos and to create many beautiful Christmas layouts. You will love this collection by Pinkfresh Studio, it is very fun to work with and has so many cute images included in the collection. Christmas layouts always bring a smile to anyone’s face by sharing wonderful memories that have so much love and meaning. Don’t you just love the dimension that Bea created on this layout? Her beautiful poinsettia tips in gold really give her layout the most beautiful finishing touch. December Days is all about documenting those fun holiday happenings. I really like getting some of my Christmas layouts done before that special day comes. I can then relax and focus on the precious moments of Christmas and enjoy each moment with my family. After Christmas, I can take my pictures and add them to my layouts and reminisce on those fun times together. 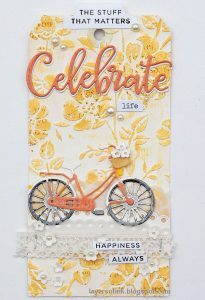 If you would like to follow along, Bea shares step-by-step instructions with some great photos on how she created her layout; click here and I will take you over to her blog My Shiny Studio. Happy crafting, my friends! Holidays give us a good reason to create a handmade card. Cards are such an easy way to bring some sunshine to a friend or loved one, especially at Christmas time. Cards may be little but they are packed with so much love. Today you are going to come away with so much inspiration from this fun winter card designed by the talented Melody Rupple. 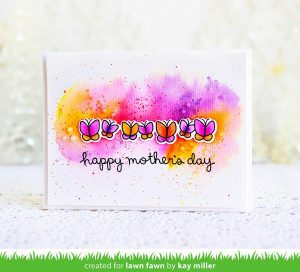 She has added some beautiful texture and layers to her card. Creating cards with different varieties of die cuts can add so much personality to them. I hope you have been inspired to create several of your own handmade cards and mail them out to those special people in your life. I would like to thank Melody for being such a constant inspiration to her fellow paper crafters. I highly recommend stopping by her blog A Paper Melody any time you are in need of some serious motivation to start that next project! Today I thought you would enjoy this fun clock that was turned into a holiday shadow box. I just love the soft, distressed look. 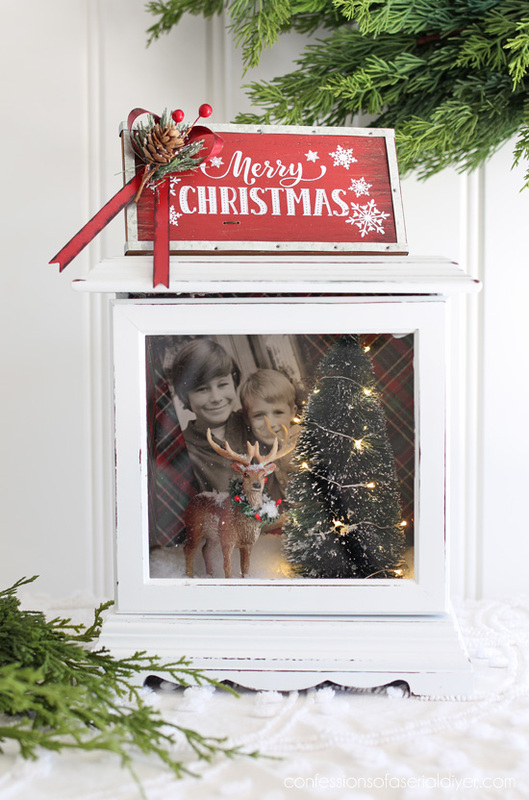 What a fun project to make as a special decor piece for your home during the holidays. 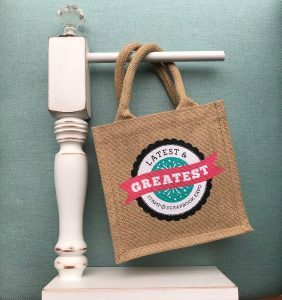 The best part is that you get to display your darling children/grandchildren with this project. Can you just imagine this fabulous, handmade vintage shadow box decor sitting on your end table? Are you needing a gift for those who are hard to buy for? This is a perfect gift! The one who receives this will get a beautiful decor piece for their home along with a priceless gift made with perfection and love by you. Click here and I will take you over to Confessions Of A Serial Do It Yourselfer so you can see each step that Christy shares on how she created this beautiful piece out of an old clock. Have fun crafting, my friends! Are you ready to make Santa’s favorite cookies? 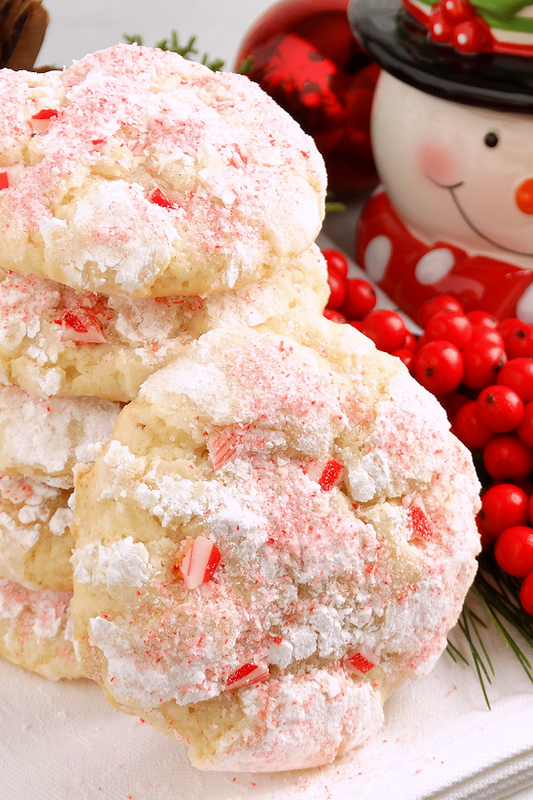 These melt-in-your-mouth Peppermint Gooey Butter Cookies are absolutely delicious! Each bite will bring back fond memories of Christmas. There is no way you can eat just one, it is always followed by a second! Everyone will love these festive peppermint cookies. They are certainly a delicious taste of Christmas! I hope that this recipe for Peppermint Gooey Butter Cookies becomes a new Christmas holiday tradition for your family. I guarantee they will love them! Click here to copy the recipe. This is one of those recipes that must go into your file. Enjoy! I hope these projects have given you some inspiration today. One of the things that I love more than anything is connecting with all of you crafters. I appreciate you taking the time on your Saturdays and spending it with me. I hope you have a wonderful week ahead and get some of your fun projects done. See you back next Saturday! This entry was posted in At Home, Blog, Card Making, Recipes, Saturdays With LeAnn, Scrapbooking, Stamp & Scrapbook Expo, Stamping and tagged A Paper Melody, Bea Valint, Christmas, Christy James, Confessions Of A Serial Do It Yourselfer, cookies, December Days Collection, Die cuts, Essentials by Ellen Designer Dies, gluten free, holiday, Home Decor, Melody Rupple, Mountains, My Shiny Studio, PEPPERMINT, Picture Frame, pinkfresh studio, Poinsettias, recipe, Refurbished Clock, Stacy Bryce, Vintage, Wicked Good Kitchen. LeAnn, I love looking at all your creations. They are Marvelous! Keep up the fantastic work. Hopefully I can get to your Expo in Massachusetts this coming September, I’ve marked the calendar. Some lovely Christmas card and gift ideas. I love the aperture that Melody Rupple has created from the white frost glitter card to create a textured wintery landscape. Very clever.